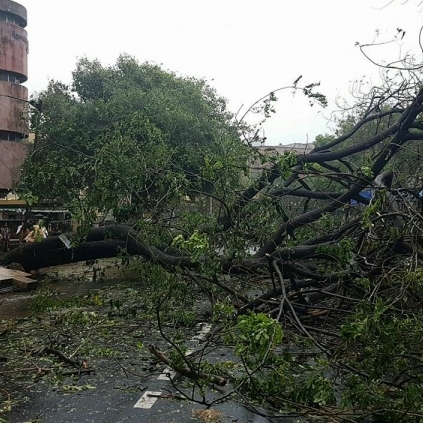 Chennai city is currently witnessing a historical cyclone in the form of Vardah, today, on the 12th of December, which has made the day-to-day life come to standstill. Here is a compilation of our beloved actors and celebrities who have tweeted about the Vardah cyclone and requested everyone to be safe. If we fought the previous one , we will fight this one too !! Pls make a note of all the helpline numbers ! Stay alert ! Stay safe people. My humble request. Pls don't step out taking photos or selfies. People looking for online information on Vardah will find this news story useful.